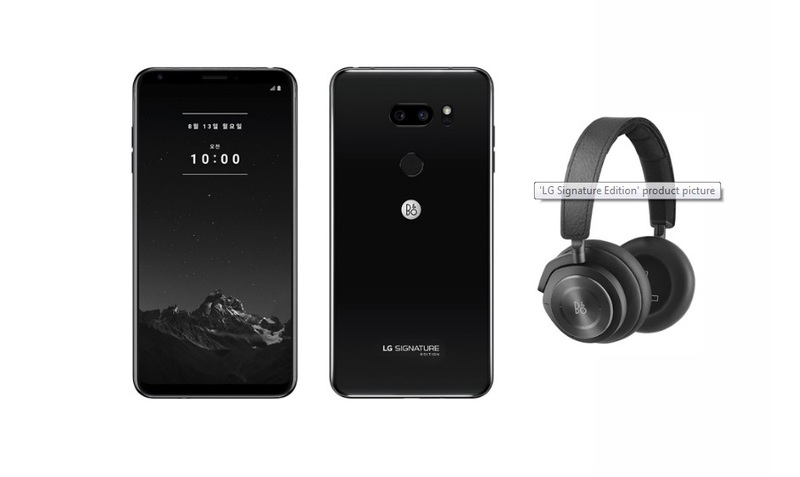 LG announced its second smartphone of “LG Signature Edition” which has premium sound quality tuned by Band & Olufsen (B & O). The second signature edition is made of Zirconium Ceramic which is typically used for luxury watch brands that have long durability. The smartphone has a 6 inch OLED FullVission QHD+ with 18:9 aspect ratio screen display and runs with Android 8.0 and Oreo Qualcomm Snapdragon 845 processor. The dual rear camera has 16MP that has AI features. The battery capacity has 3,300 mAh with Qualcomm Quick Charge 3.0. The phone storage has 6 GB of RAM and 256 GB of ROM with MicroSD card slot up to 2 TB. The company confirmed that they will manufacture 300 units. The limited edition of the phone is now available for pre-orders, and it will release on August 13. The price starts at 1,999,000 won ($1786.33). The available colors are Black and White. The phone will have its freebie of B&O’s Beoplay H9i over-the-ear headphones.